2010’s Monsters was innovative in its stripped-down sci-fi approach. Gareth Edwards’ directorial debut used rarely seen, though beautifully rendered, hulking aliens as foreboding atmospherics that enhanced the film’s very human drama. While Edwards went on to helm a thoughtful big budget update of iconic beastie Godzilla, the sequel to his indie creation sorely lacks his measured approach. 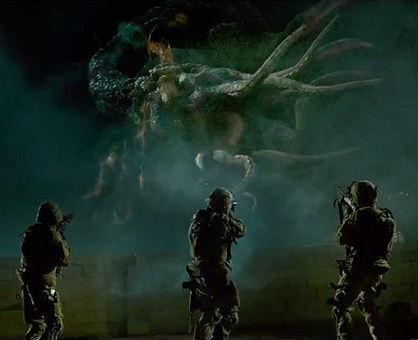 Though more creatures are on screen in Monsters: Dark Continent, they’re pushed way too far into the narrative background, existing only for a connection to the original film and to serve as lumbering, obvious metaphors. Worse, the major focus is placed on a completely bland war story that’s broad in structure and callow with its commentary. 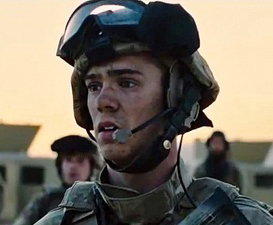 Taking place 10 years after the first film, Monsters: Dark Continent is set in an unspecified Middle Eastern locale where the extra-terrestrials have migrated and war rages. American forces have been deployed to destroy the beasts, and also must deal with an insurgency among the indigenous population. A clique of Army bros from Detroit, including Private Parkes (Sam Kelley), is called into duty, eager to prove their mettle in the area of unrest. After a few patrols – fairly routine by military standards, painfully routine by cinematic standards, save a nighttime encounter with an alien – an actual mission is outlined by the unit’s hardline leader, Sergeant Frater (Johnny Harris). When the rescue of four stranded soldiers predictably goes awry, Parkes and Frater are surrounded by potential dangers in the harsh desert. Content to settle into a rote exploration of complicated modern warfare, co-writer/director Tom Green unsubtly presents various incarnations of his film’s pre-colon title. Skyscraper-sized aliens dominating the desert skyline and seeding the sand with future generations are the most literal monsters. Nearly as blunt are portrayals of faceless insurgents inexplicably resisting assistance in saving their homes and livelihoods, planting IEDs and ambushing military motorcades. Of course, war also makes monsters of men, a theme handled much better in myriad genre films, including several of the Middle East-based tales that have inundated the market of late. Parkes and Frater are ciphers for common arcs, the former going from eager to escape his stateside situation, to gung-ho grunt, to traumatized warrior as a matter of procedure. He’s supposed to be our entry point, providing voice-over and being changed by the chaos around him, though his way of expressing his mindset includes thousand-yard stares, quizzical sentence fragments, and a few primal screams. Frater’s psychology is better-realized by the script and in Harris’ performance, the sergeant’s laser-focus on the mission staving off madness and the emotions that come when thinking of his daughter back home. With such familiar sentiment, it’s curious why Green chooses to relegate the aliens to set dressing. The creatures are interesting to look at and their presence raises several questions that are never addressed. The level of ignorance (if any) involved with their eradication is never clear, nor are the true intentions of the Americans or their targets, human or alien. 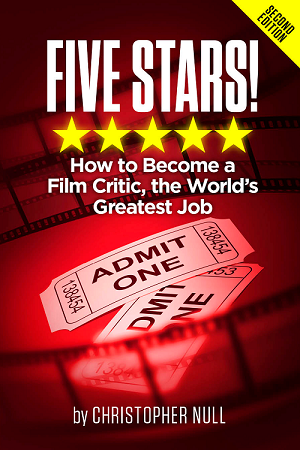 Any potential gravity is sabotaged by a prosaic script and jittery battle sequences that come off as dutiful adherence to filmic language rather than true turmoil. Unimaginative from the urban wasteland depiction of Detroit to the shallow observations of the Middle East’s ideological quagmire, Monsters: Dark Continent is exhausting in its tedium. It’s a sequel that takes a promising original concept and reduces its worth, rather than building on the mythology.